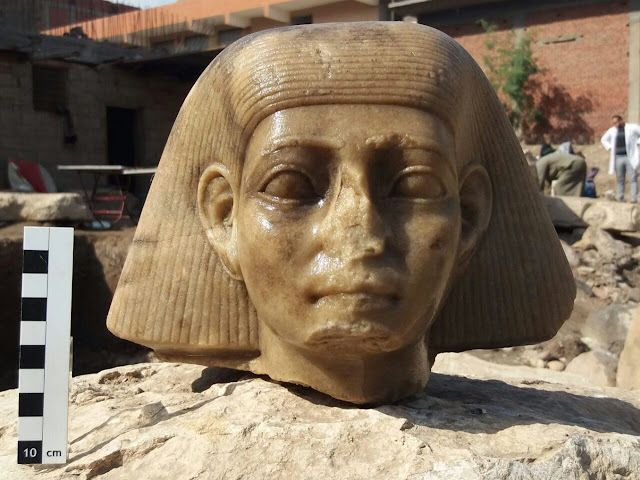 The Egyptian-German-Mission at Matariya/Heliopolis, uncovered a collection of 4500 fragments from King Psamtek I colossus discovered last year and now at the Egyptian Museum in Tahrir. 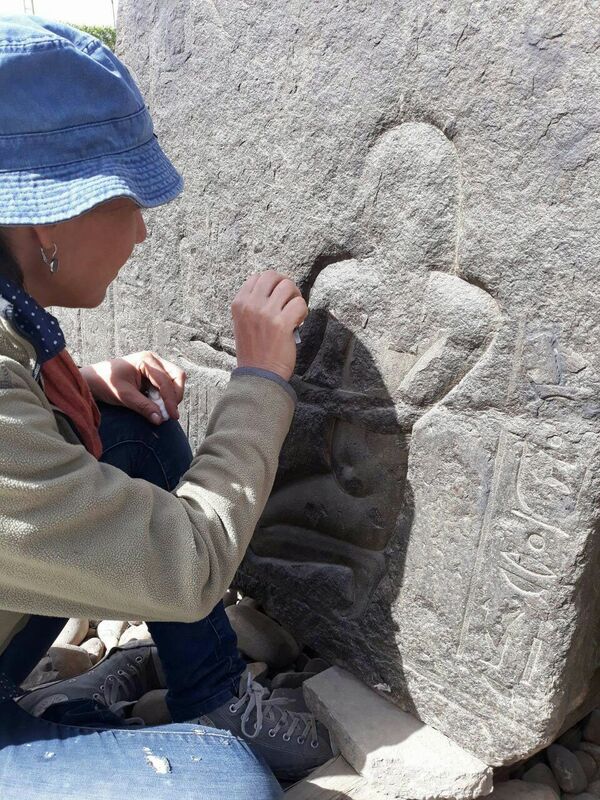 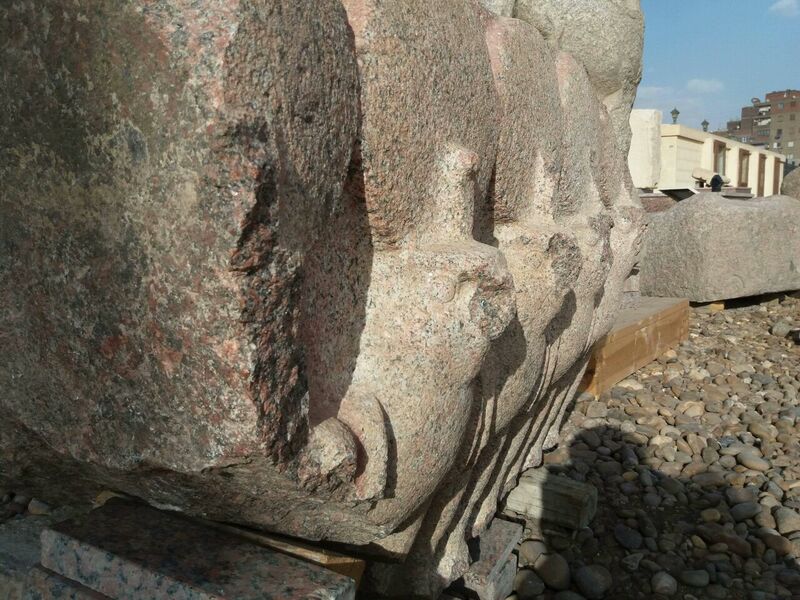 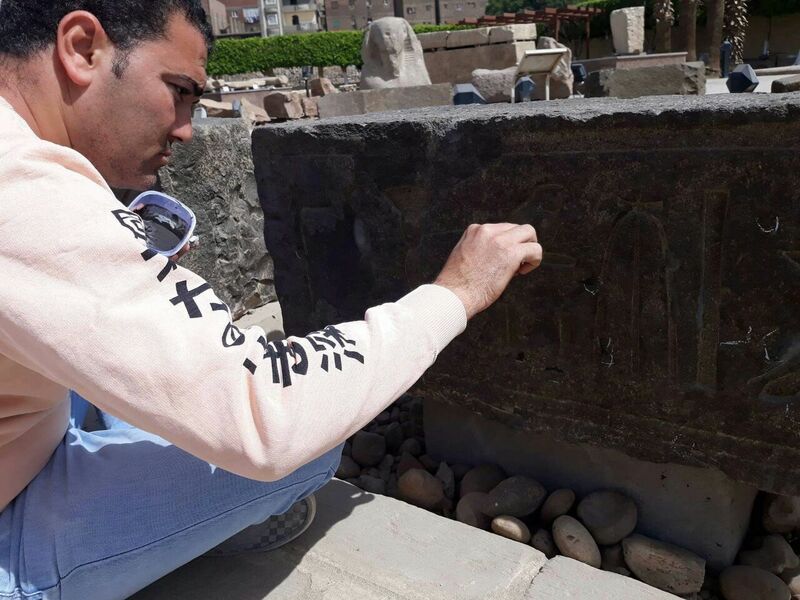 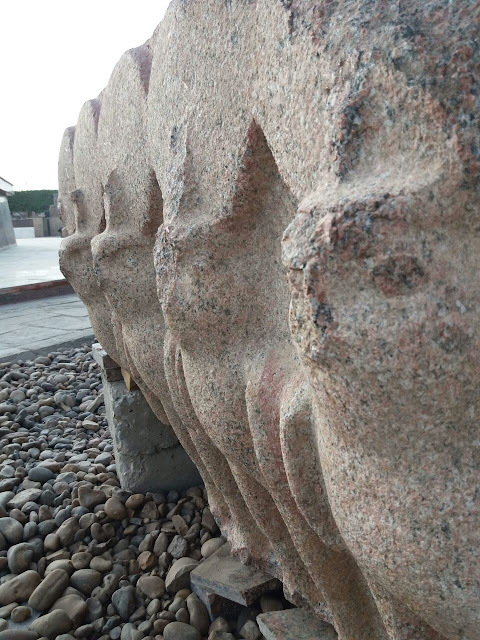 Dr. Aiman Ashmawy (Head of the ancient Egyptian Antiquities) and head of the mission from the Egyptian side, said that at Souq el-Khamis area in Matariya, the mission succeeded to uncover a collection of 4500 fragments of the quartzite colossus of king Psamtek I. 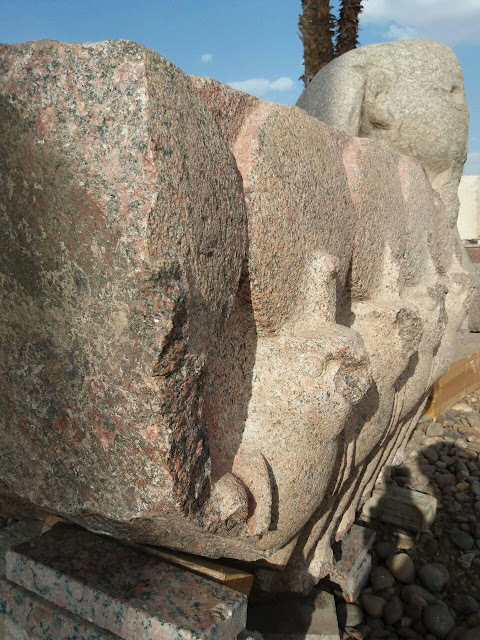 The He explains that these fragments along with those found last season have reached a total number of 6400 fragments which allow the visualization of the original form of the colossus before its destruction in antiquity. 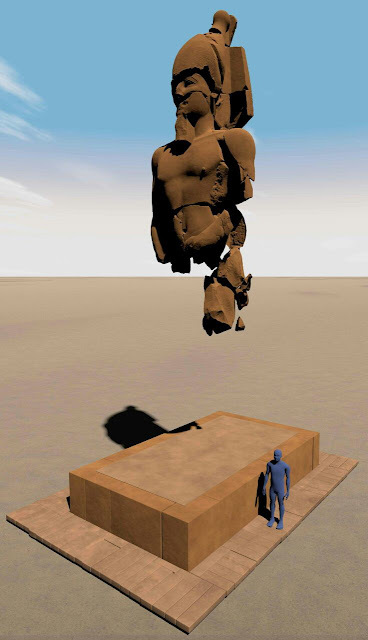 Dr. Ashmawi added that the new fragments confirmed that the colossus depicted a standing king but with the unusual feature of the left arm in front of the body. 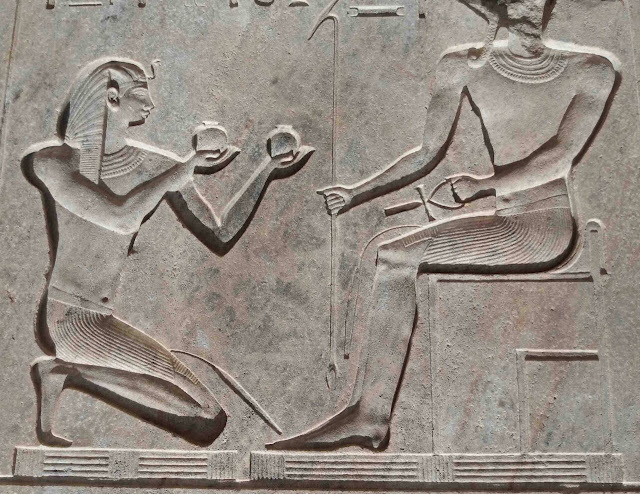 A very carefully carved scene on the back-pillar shows the kneeling King Psamtek I in front of the creator-god Atum of Heliopolis. 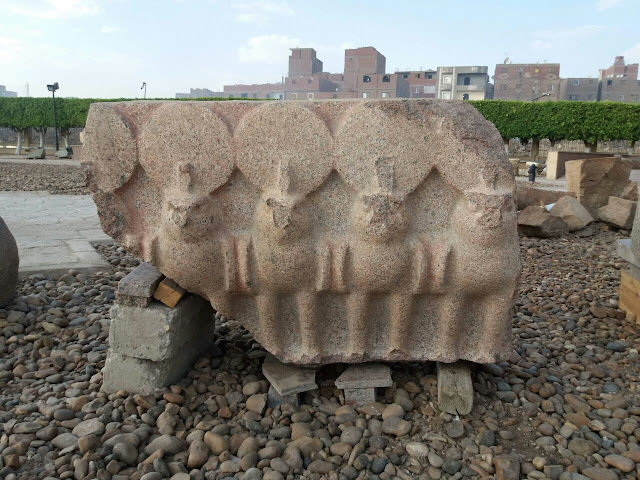 The majority of the fragments were found in a pit south of the pedestal of the statue, that have been left open probably during the Fatimid era when the temple walls were dismantled to be used in other buildings. As Dr. Aiman Ashmawy explained, the colossus statue’s fragments will be brought to the Egyptian Museum. 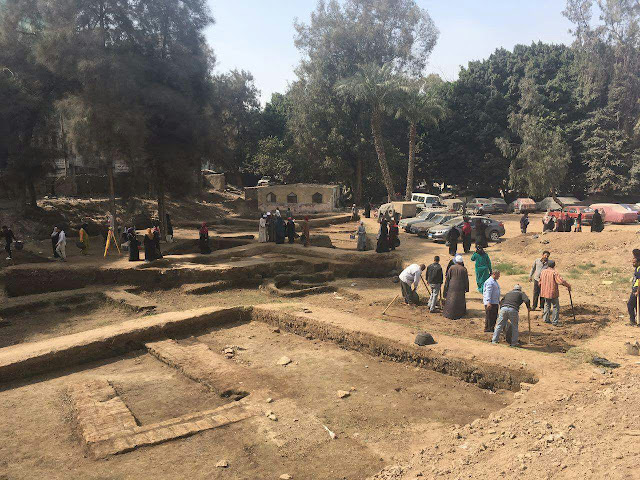 Dr. Dietrich Raue, Head of the German mission said the mission continued its work at the site of the temple of Nektanebo I (380-363 BC). A large number of fragments that belong to a quartzite gate of Ramses II (1279-1213) and Nektanebo I were found. 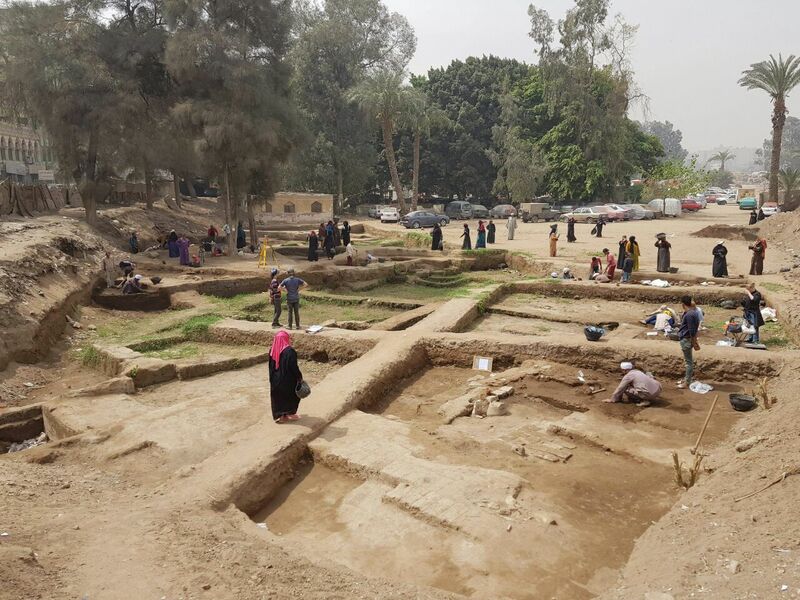 The geophysical survey had indicated a number of areas with a large number of fragments of the former temple. In this area, according to Dr Raue, some exceptional fragments were found, among them: a frieze of falcons, a part of a gate of Merenptah (1213-1201 BC) as well as parts of a colossal Ramesside sphinx of red granite. 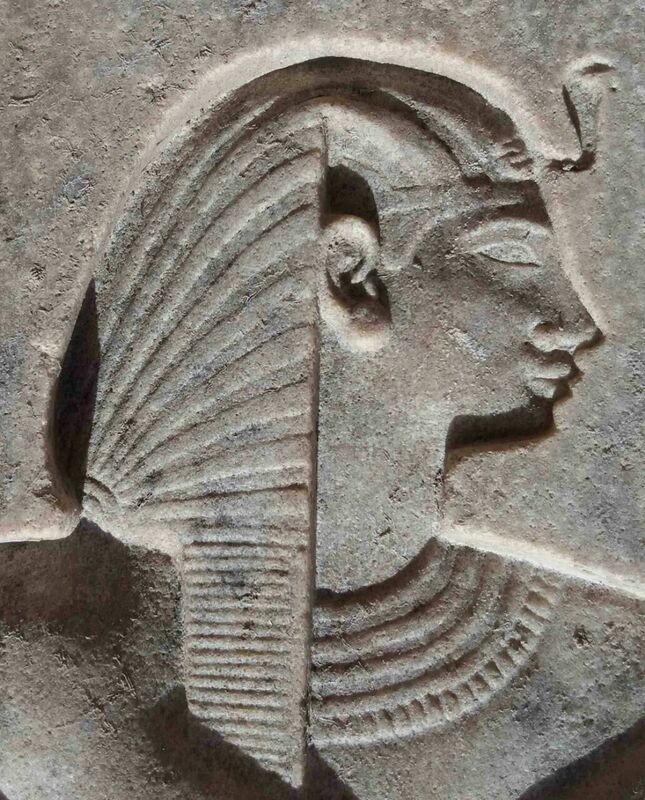 It seems evident that Nektanebo I added his building to a major temple of earlier date. The excavation work in the Ptolemaic workshop area was continued and led to the discovery of new room units of the mid-ptolemaic area. 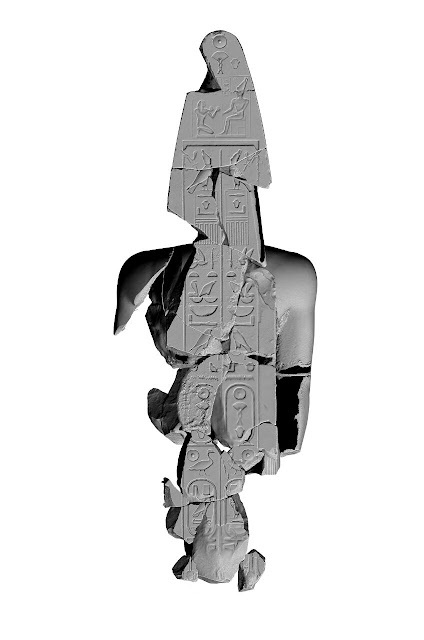 Some fragments point again to the reuse of pharaonic temple equipment of the 2nd and 1st millennium BC. 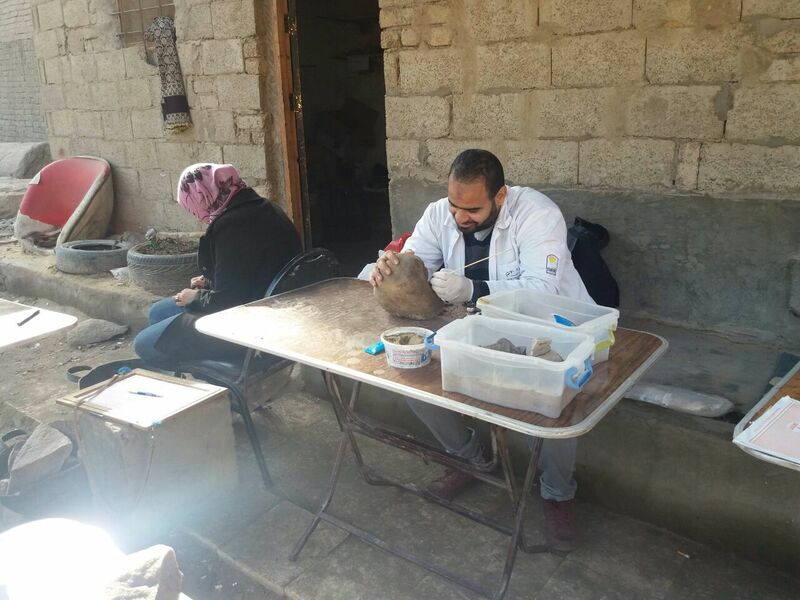 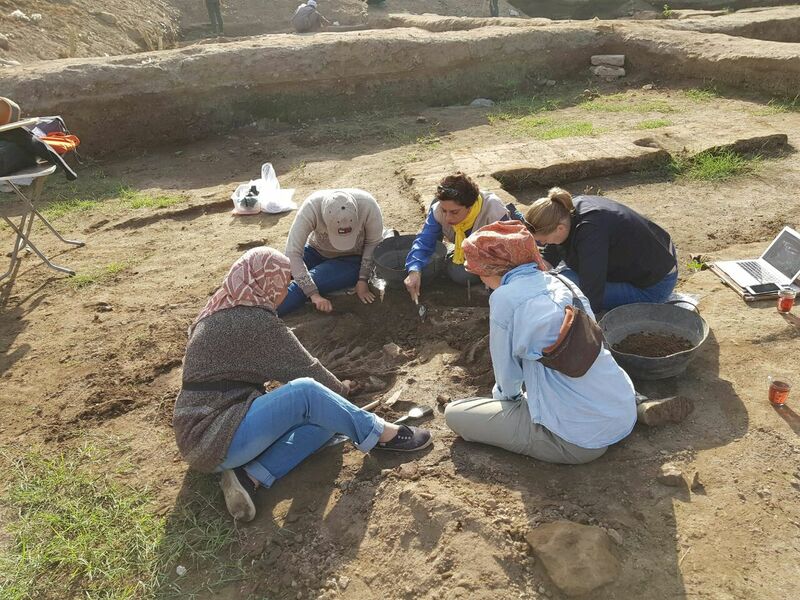 This season’s work included archaeobotanical and archaeozoological studies.